August 2017 Wrap Up & Book Haul!! Happy last day of August, Bookworms! FALL IS RIGHT AROUND THE CORNER!! If you can't tell, Fall is my most favorite time of the year. Cooler weather. Sweaters and Hoodies. Beautiful Colors. SO MANY BOOKS TO READ. Fall is the most perfect time of year. I love it!! 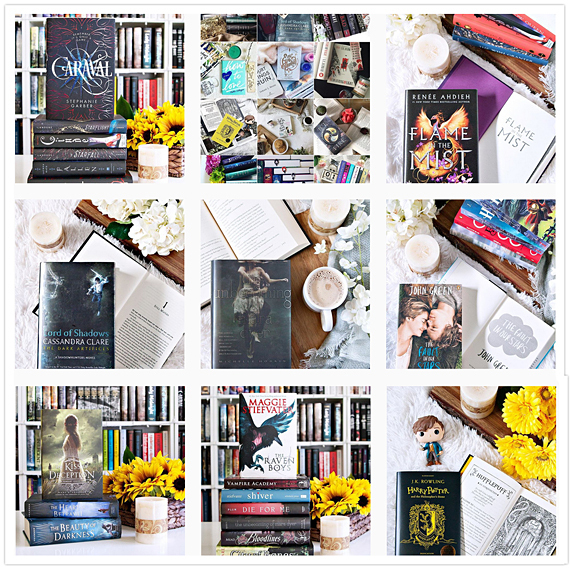 Keep scrolling to check out my August Wrap Up & Book Haul!! Ah, August was a pretty cool month for books. I added quite a few new ones to my collection, and I can't wait to get started on them. but... I'm totally not going to complain about the 10 books I did get to read. 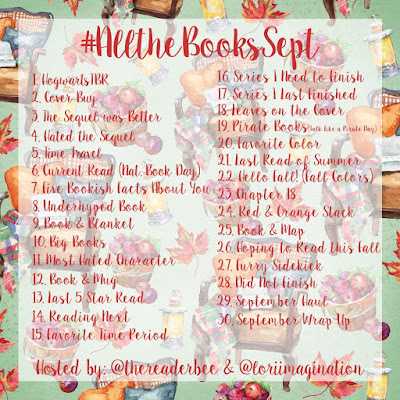 Check back tomorrow for my September TBR and Most Anticipated Releases posts! Here's hoping for an awesome book month in September!! 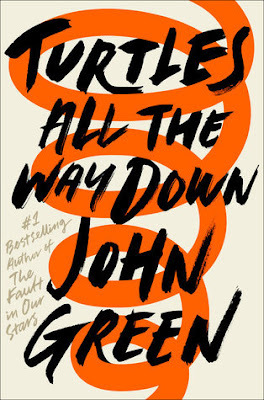 John Green has a new book coming out! Is there actually anyone out there who is NOT excited about this book?? I know I'm pretty darn excited! because I have no plans to share. I can't wait to check this out!! 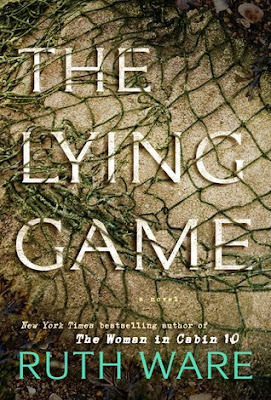 As soon as I discovered The Lying Game by Ruth Ware, I knew it was a book I would want to check out. I read The Woman in Cabin 10, also by Ware, last October and really enjoyed the story, so I was curious to see what she had come up with next. I was also super excited that Reese Witherspoon picked the book for her RWBookClub pick, and her thoughts on the book made me even more curious to check it out. I'm really glad that I did! The story is told from Isa's point of view, and is told in both present and past tense. I love the close friendship that Isa has with Kate, Fatima, and Thea. You know they had to be super close if Kate text them all one thing and they all come running. They know each other extremely well, considering the amount of time they were actually in school together was rather short, so you know the bond they have and the experiences that she shared most have been pretty strong for them all to be so close. I was completely fascinated by their story. 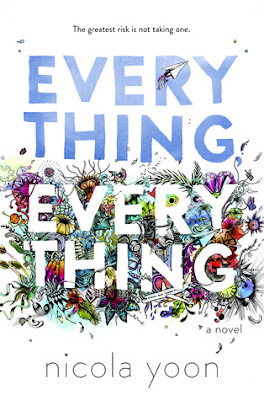 I expected to get through this book a lot quicker than I actually did, but it took me a little while to get into the story, not really because of the story itself, but because I was just always really busy and/or distracted when I tried to read the book. I finally forced myself to sit down with no distractions, and when I did, I few through the pages. The storyline for the book was mysterious, and kept me guessing as to what would happen next. There was quite a twist at the end of the book that I didn't really see coming, but probably should have. I do love a book that keeps me guessing! 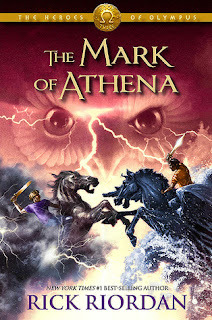 Annabeth returns in the third installment of the biggest series yet from Rick Riordan, author of the #1 New York Times best-selling Heroes of Olympus, Kane Chronicles, and Percy Jackson and the Olympians series. In The Son of Neptune, Percy, Hazel, and Frank met in Camp Jupiter, the Roman equivalent of Camp Half-blood, and traveled to the land beyond the gods to complete a dangerous quest. The third book in the Heroes of Olympus series will unite them with Jason, Piper, and Leo. But they number only six—who will complete the Prophecy of Seven? 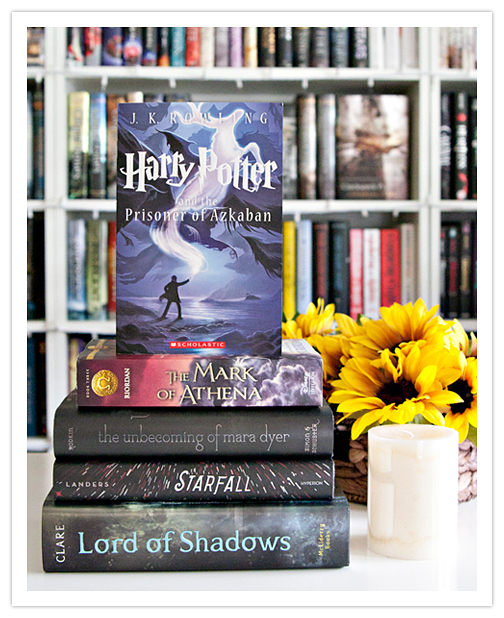 The Mark of Athena by Rick Riordan was probably one of my most anticipated reads for August, and for good reason! I really didn't expect to enjoy this series as much as I am, and even as much as I did the first Percy Jackson series, but I swear, the books just get better and better as they go along. One of the things I like most about The Mark of Athena is that the seven heroes are finally together at last. You'd think that it would be hard keeping up with 7 Greek and Roman Demigods, but it's not. Each character is awesome, and all for completely different reasons. I really enjoy going along on their adventures with them. The secondary characters are pretty cool as well, including Coach Hedge, who never fails to make me laugh. Did you have a really great week this week?? I hope you did! Mine was busy, as usual, and pretty exhausting. I didn't even have the energy to sit down to do any post this week. But, I did manage a bit of reading, so that's something! 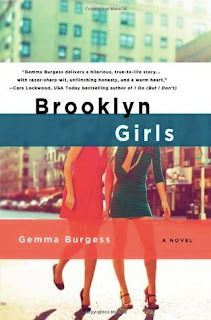 The second book I read was Brooklyn Girls by Gemma Burgess, which was a book club pick for this month! I really love book club, it's always so much fun! I've not watched any movies or tv this week, BUT, a lot of things on my Netflix and Hulu watchlists are expiring at the end of the month, so I'm going to try to watch them. Fingers crossed! If you're on Instagram, do check out the September Book Challenge that Lori (loriimagination) and I are hosting again next month! It's a lot of fun, and we'd love for you to join us!! We will also be doing a read-along next month as well, so check our Instagram's tomorrow for more information on that! Despite having a pretty crazy week, I actually have things to update today!! I finished two whole books, and watched a movie. Not too bad, I think! 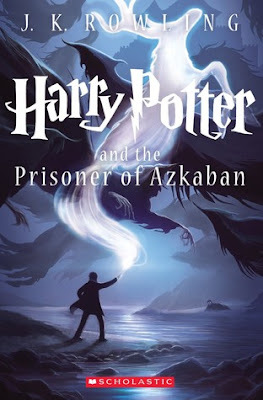 This week I managed to finish two books, the first being my re-read of Harry Potter and the Prisoner of Azkaban by J.K. Rowling, which I listened to on audiobook. 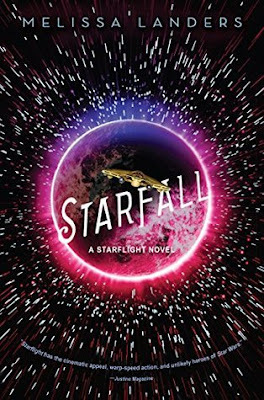 You guys, if you've not listened to the audiobooks for this series before, I do recommend you check them out. Jim Dale is the BEST narrator ever!! Whooo, hooo! I actually watched a movie this week! 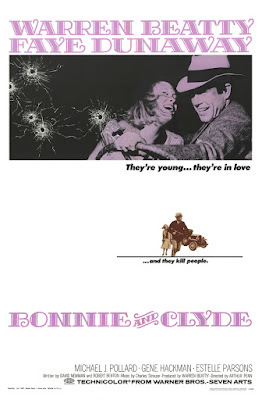 It was Bonnie and Clyde (1967) which I watched with my fellow book club ladies! I have never seen this movie before, but I definitely enjoyed it! That's about all for this week! Can you believe we only have 10 days left in August? I have SO much reading I need to get caught up on this month! Gah! Olivia wakes up to realize she doesn’t remember. Not just the accident—but anything from the last four years. Not high school. Not Matt, the guy who is apparently her boyfriend. Not the reason she and Jules are no longer friends. Nothing. That’s when it hits her—the accident may not have taken her life, but it took something just as vital: her memory. The harder she tires to remember things, the foggier everything gets, and figuring out who she is feels impossible when everyone keeps telling her who she was. But then there’s Walker. The guy who saved her. The one who broke her ribs pumping life back into her lungs. The hardened boy who keeps his distance despite Olivia’s attempts to thank him. I was really excited to read The Secret History of Us by Jessi Kirby, as I had read her previous book, The Things We Know By Heart last year, and really enjoyed it. I just knew that I was going to like The Secret History of Us as well, and I did! The story definitely starts off with a bang, and it completely grabbed my attention and didn't let go. We follow Olivia as she wakes up in a hospital with absolutely no memory of how she got there. As the story goes along, the pieces of what happened the night of the accident start to slowly come together, and if you're anything like me, you'll fly through the pages trying to put all those pieces together. I was hooked. Coming in at just 288 pages, this book was a really quick read, and I found myself not wanting it to be over as I turned the last page! 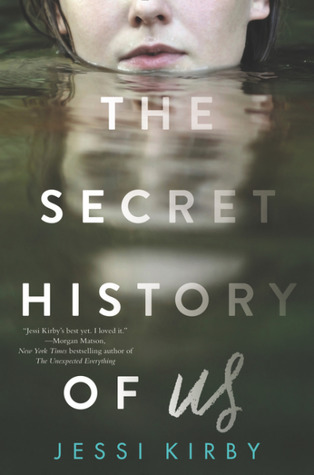 Overall; I really enjoyed reading The Secret History of Us, and I'm even more curious to read more of Jessi's books now! 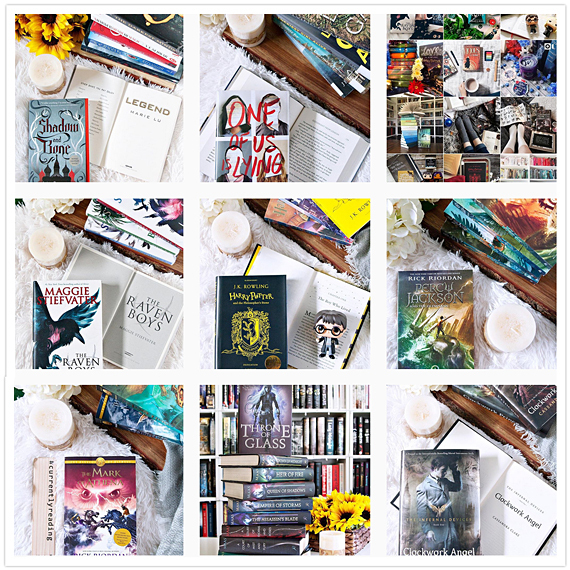 Golden, In Honor, and Moonglass in particular have been on my TBR for a while now, and I'm definitely going to have to pick them up soon! and I really enjoyed the book SO MUCH!! 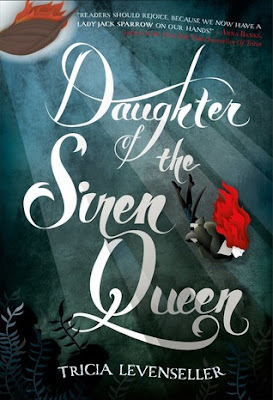 I am really excited to read Daughter of the Siren Queen when it's released in February! I must know what's going to happen next. Add the books to your TBR today! Good morning, Bookworms!! 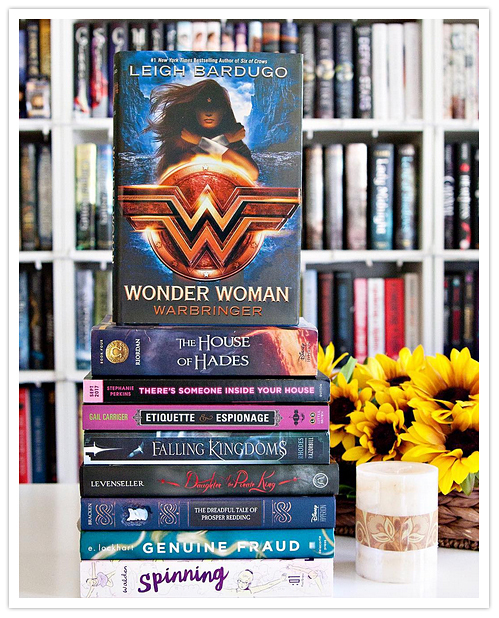 I'm often asked to recommend books to people who are new to contemporary novels, so I chose to share a few of my picks for today's Top Ten Tuesday!! 1. 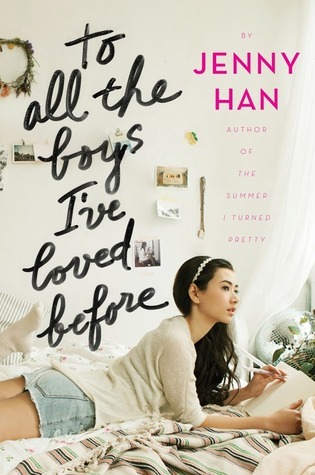 To All the Boys I've Loved Before by Jenny Han - This book is one of the first books that I always recommend to someone that is new to contemporaries! I love the everything about this book. If you haven't read it yet, do it! Also, it's going to be a movie soon! 2. 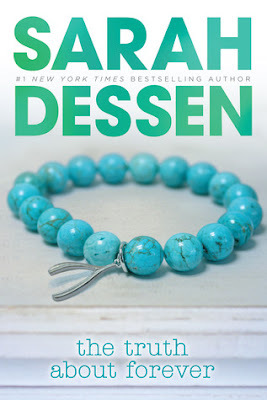 The Truth About Forever by Sarah Dessen - Sarah is another go-to author that I recommend to someone looking for a great contemporary! It's hard to choose just one favorite of hers, but I really love The Truth About Forever! 3. 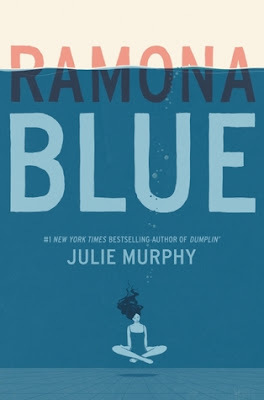 Ramona Blue by Julie Murphy - I have had the pleasure of reading all of Julie Murphy's books the books that Julie Murphy has released so far, and they are all so good! Dumplin' is being made into a movie, and I bet it's going to be great as well! 4. 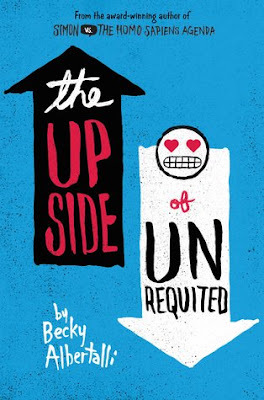 The Upside of Unrequited by Becky Albertalli - Becky has two awesome books out so far, and they are both SO GOOD. 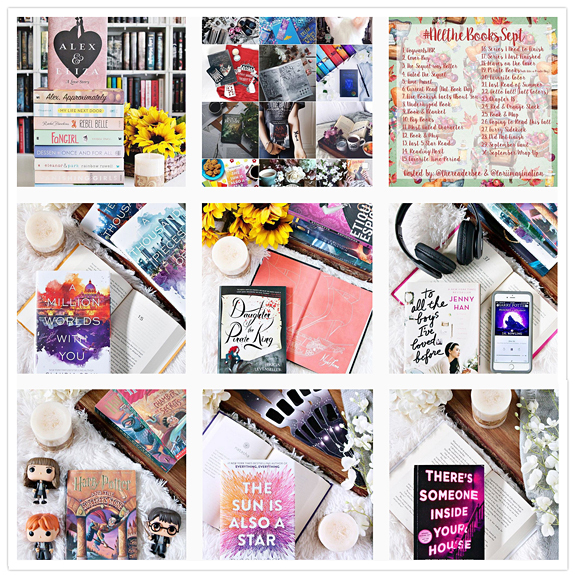 If you've not yet read Simon vs. the Homo Sapiens Agenda or The Upside of Unrequited, add them to your TBR ASAP! And, yes... SIMON IS GOING TO BE A MOVIE TOO!! 6. 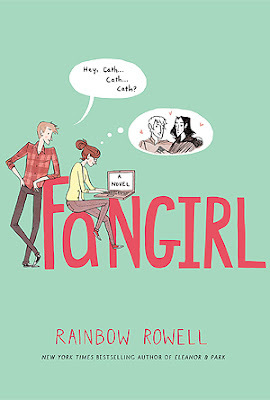 Fangirl by Rainbow Rowell - I've read almost all of Rainbow Rowell's books, and they are all great! Fangirl is a particular favorite of mine. I need to reread it soon so that I can FINALLY read Carry On! 7. 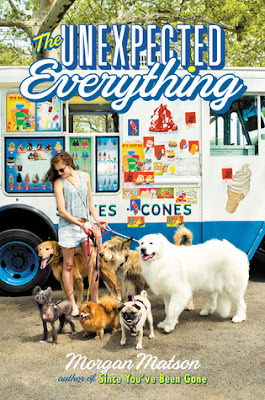 The Unexpected Everything by Morgan Matson - I've only read about half of Morgan Matson's books so far, but I've really enjoyed all the ones I have read, including The Unexpected Everything!! 8. 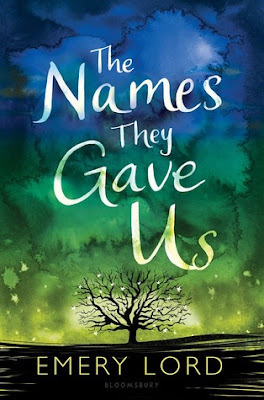 The Names They Gave Us by Emery Lord - I have read all of Emery Lord's books, and they just get better and better with every new one she comes out with. Definitely check out her books! 9. 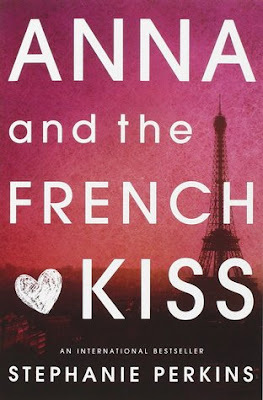 Anna and the French Kiss by Stephanie Perkins - This book is probably one of the very first YA contemporaries that I read, and I instantly fell in love with the genre. I really need to reread the series soon! 10. P.S. 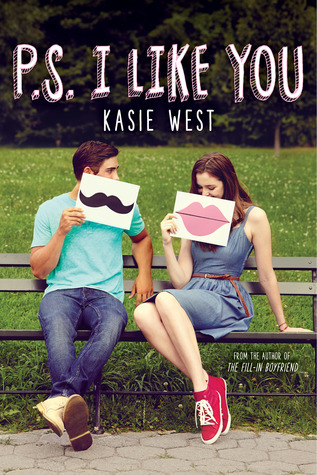 I Like You by Kasie West - If you've recently check out my last few Waiting on Wednesday picks, you'll know how much I really love Kasie West! I've read all of her contemporary novels, and she has quite a few out now! All her books are quick, fun reads. Do check them out! That's my list for this week!! What did you choose for your Top Ten Recommendations for today?? Leave a link so I can check out your post!! And have a great Tuesday, all! Did you guys have a great week?? Mine was busy, but I did manage to accomplish a few things!! This week I finished reading not one but TWO books, and I DNFed another book, which I *still* haven't gotten used to doing, but have done a few times already this year. 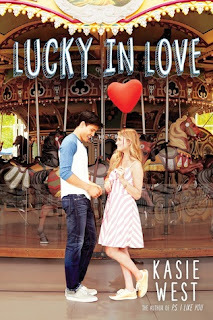 My thoughts for Lucky in Love by Kasie West are on the blog already, and The Secret History of Us by Jessi Kirby will be up this coming week! I *really* need to spend some time working on my movie watching goal for the year. Like with books, I set a goal to watch 100 movies again this year, and I've only managed 40 so far. I must fix that soon! School has officially started back in our area, but we all survived the first two days back, so that's great for us. Next week will be their first full week back, and hopefully it will continue to go well. Though being back to school means less reading time for me, as I'm usually spending most of my time in the car waiting for people or carpooling people around. I'm hoping that I can manage my time better this year though. We shall see!! That's about all for me this week! My August 2017 TBR & Most Anticipated Releases! !